Studied with a Society accredited course provider? Trained on a course not accredited by the Society in the UK or Overseas? Everyone needs a healthcare professional they can trust – one who’s trained to rigorous standards, bound by a strict code of ethics, and subject to independent regulation. That’s what the Society of Homeopaths stands for. We’re the UK’s largest group of professional homeopaths, and the only dedicated register accredited by the Professional Standards Authority, an agency set up by the government to protect the public. 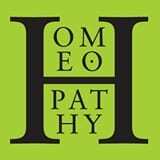 We work to uphold standards of homeopathic care, support our members in their practices, and help their patients back to good health. We ensure that the letters RSHom are your guarantee of a well-trained, registered and insured professional homeopath.